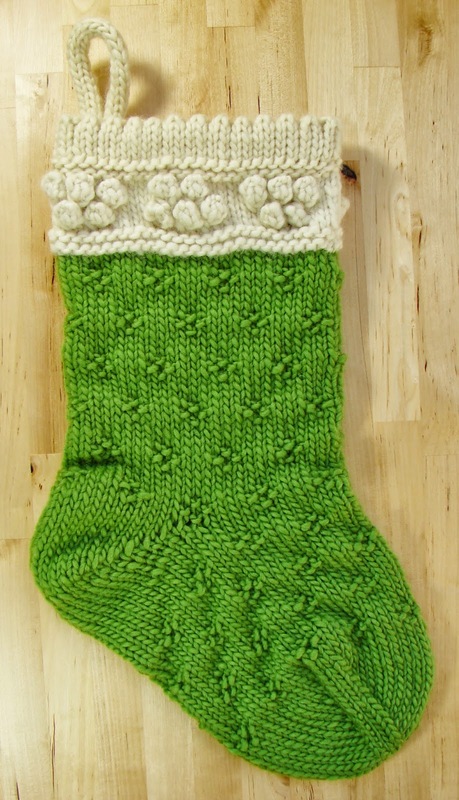 Auntie Em's Studio: Classic Christmas Stocking Pattern Now Available! 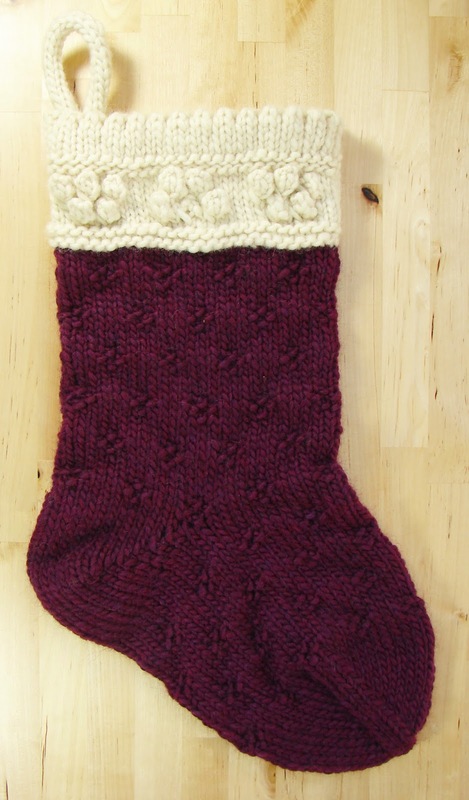 Classic Christmas Stocking Pattern Now Available! 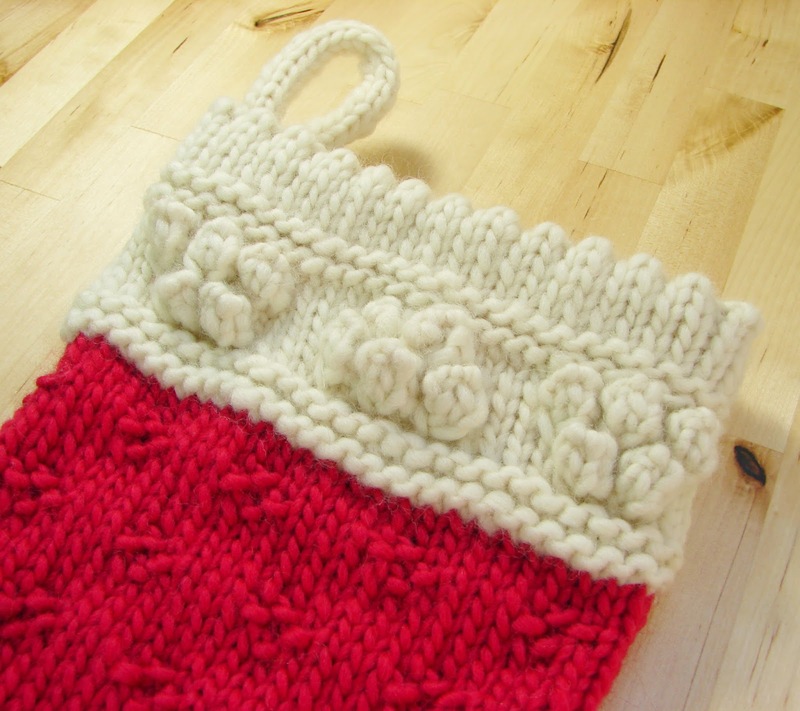 Now that fall is here, it is time for knitters to start thinking of the holidays. 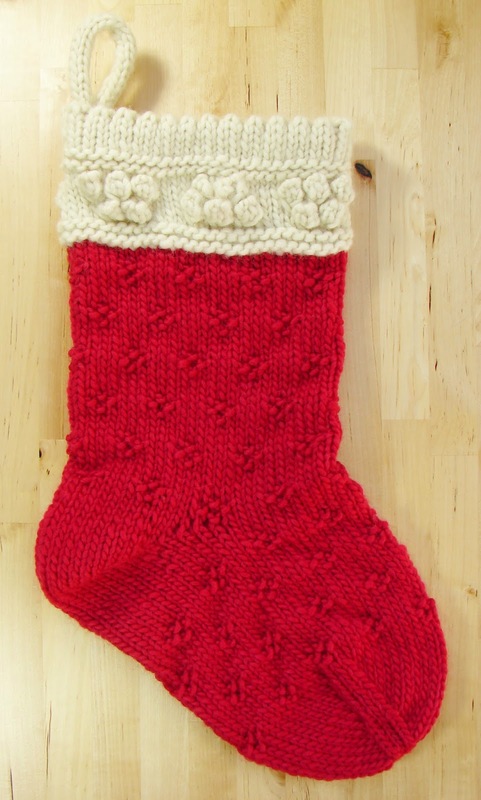 There is still plenty of time to knit up some lovely Christmas stockings like my Classic Christmas Stocking pattern, which is now for sale in my Ravelry shop. 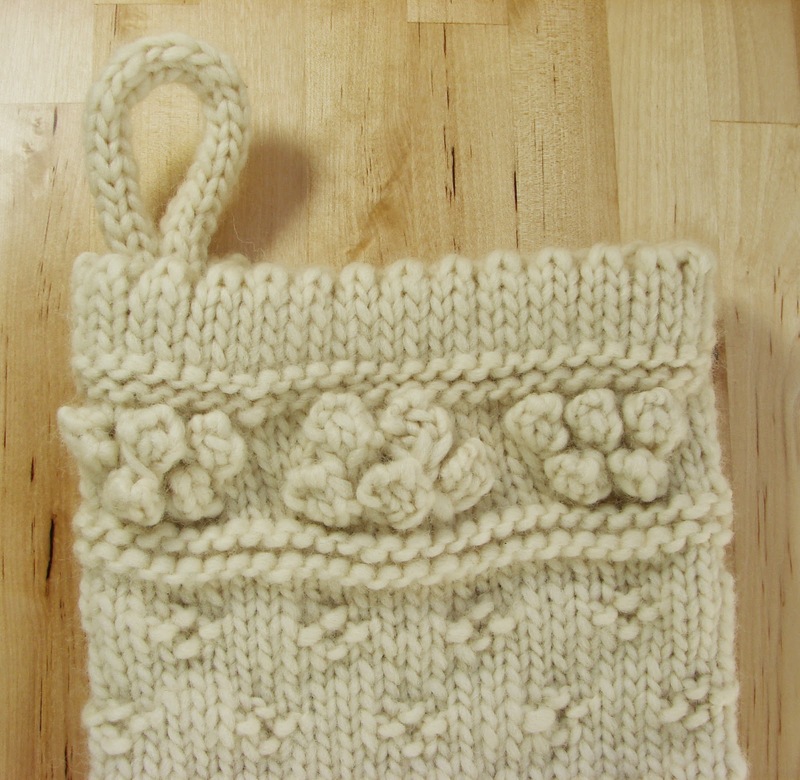 The stocking has a picot edge along the top and bobble details on the cuff. 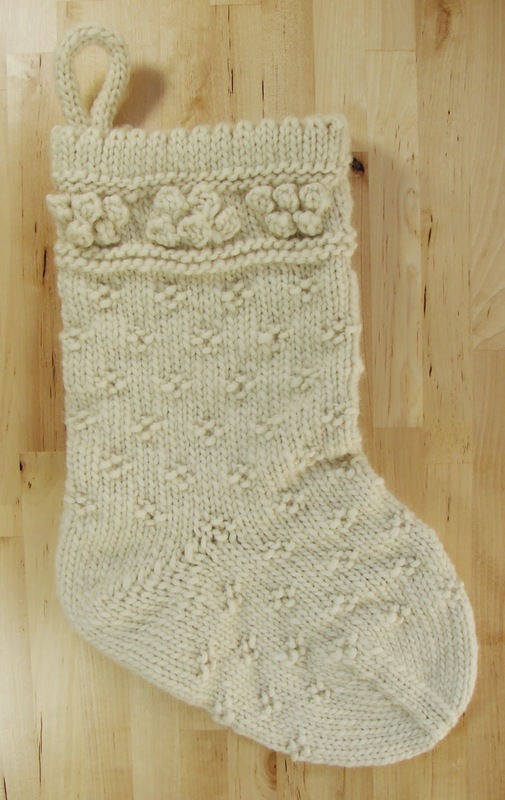 The main body of the stocking features a simple diamond design formed using purl stitches. The loop is an I-Cord. 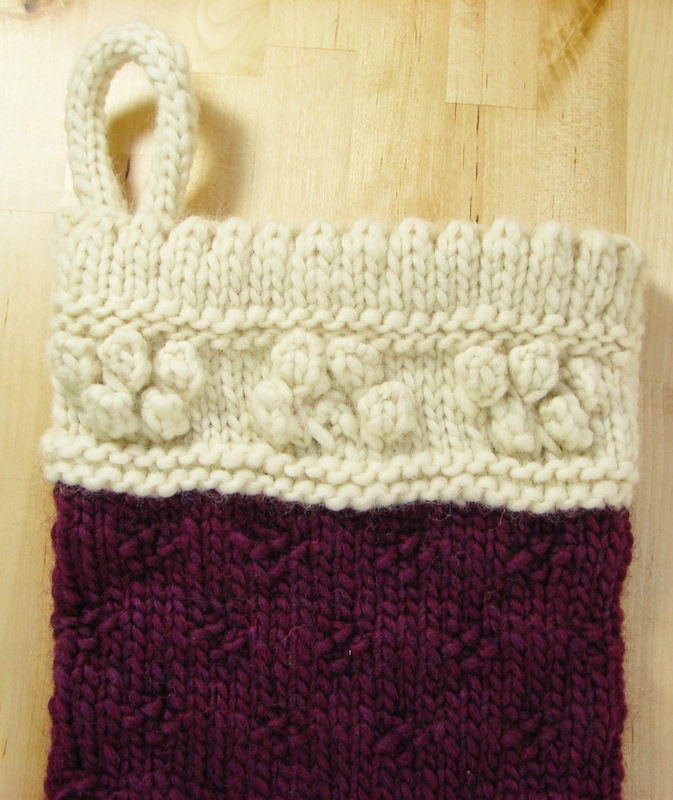 Most of the pattern is worked from a chart, and there are written directions for the picot edge, heel, toe and loop. 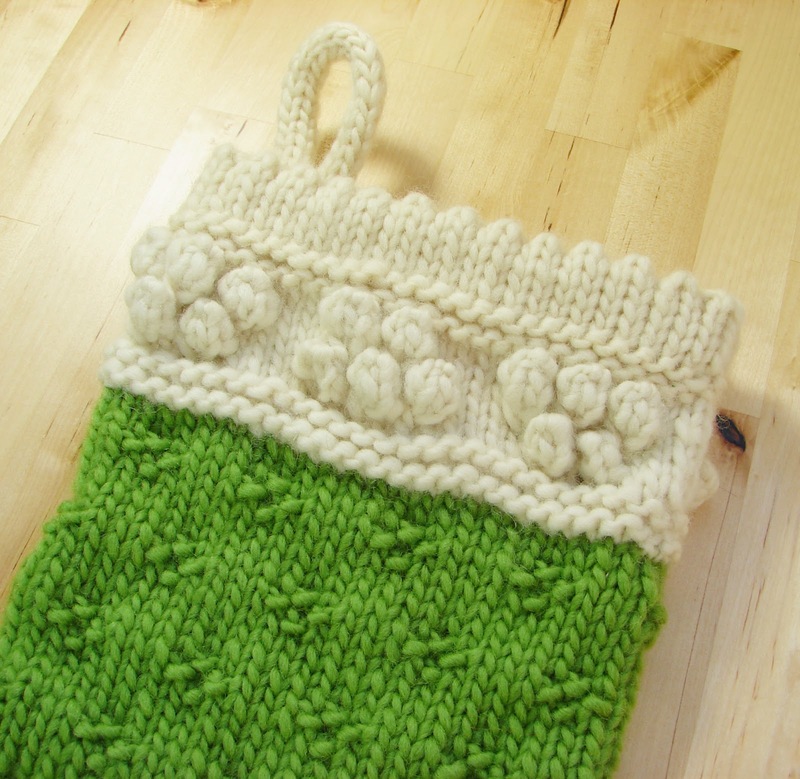 When I originally designed this stocking, it was entirely made from the cream colored yarn. I have since been experimenting with different color combinations. A red stocking is a very traditional option. Green is another very expected Christmas color. Purple is not a Christmas color at all, but it is one of my favorite colors. So, when I saw that the Patons Wool Roving came in this gorgeous plum color, I couldn't resist. I have also made a few in a lovely light blue/ teal which turned out nicely. If you aren't interested in knitting them yourself, these finished stockings are for sale in my etsy shop. I've got some other variations that will be added soon as well.